This rice is a staple in our house. We eat it so often and it wasn’t until the other day that I realized it needed to be shared. It is simple yet full of flavor. 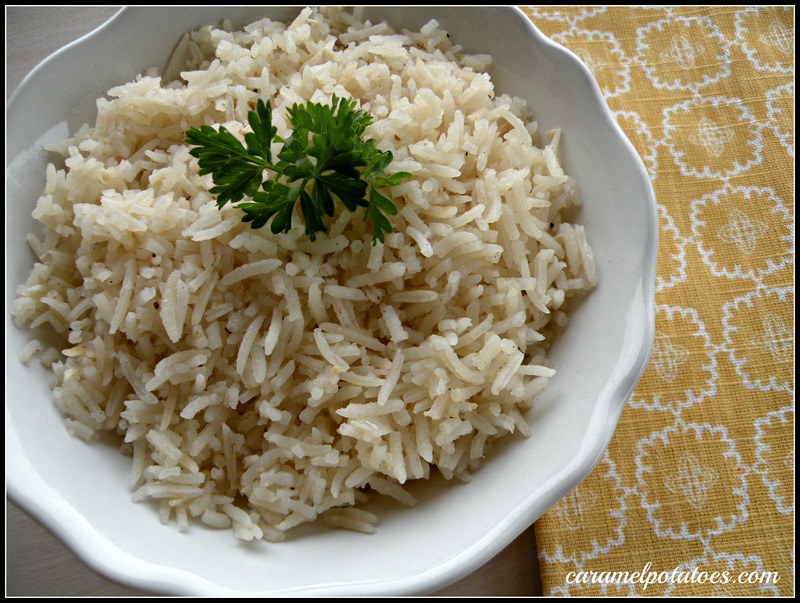 I always keep these ingredients on hand to easily add Rice Pilaf to any dinner. Don’t forget the lemon juice. It really brighten ups the rice. It can easily be double if needed. In a saucepan or skillet, melt the butter over medium-high heat. Add the onion, garlic and rice to the pan and cook until translucent and tender, about 3-4 minutes. Stir in chicken broth, the salt and pepper and bring to a boil. Cover and reduce heat to low. Simmer about 20 minutes. Stir the lemon juice and stir. Serve! Pilaf is a staple for me as well! It can never be plain rice. Yum, a nice change for dinner.